POPULAR ACTOR'S COMPLETE DEDICATION TO TURN INTO A HOCKEY PLAYER - VIDEO HERE! Natpe Thunai is an upcoming Tamil film written and directed by debutant director D.Parthiban Desingu. It is produced by Khushboo and Sundar.C under their banner Avni Movies. the cast includes Hiphop Tamizha, Anagha, Karu Pazhaniappan, Pandiarajan. Hiphop Tamizha has also composed the music for the film and this is his second film as a lead actor after Meesaya Murukku. The trailer, songs and Kerala song making video have already been released and were received well.The makers have now released the Hockey- Behind the Scenes video from the film. 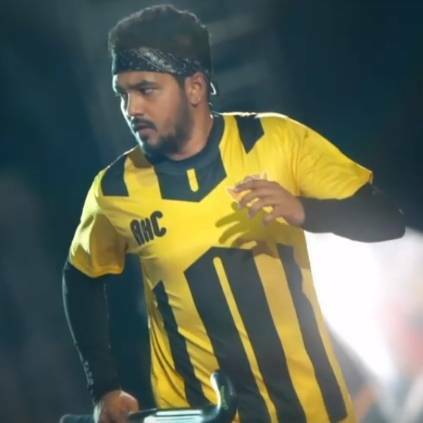 In this movie, Hiphop Tamizha plays the role of a Hockey player. People looking for online information on Anag, Avni Movies, D Parthiban Desingu, Hiphop Tamizha, Hockey, Making Video, Natpe Thunai, Pandiarajan, Sundar C will find this news story useful.